AABSyS successfully completes hundreds of AutoCAD drafting projects and positioned itself as a reliable vendor for outsourcing AutoCAD design and 3d drafting services. AABSyS has successfully completed hundreds of AutoCAD drafting projects for a wide range of international clients. The company has therefore positioned itself as a reliable vendor for AutoCAD outsourcing services, CAD design and 3D drafting services for owner-builders, architects, engineers and contractors worldwide. AABSyS specializes in 3D drafting for residential and commercial buildings, using client inputs like photographs, scanned images of existing site measurements and city plans. The process involves using AutoCAD software to generate 2D floor plans, sections, elevations (front and back) and city plans. The 3D view is generated from 2D dimensions. The final output is submitted to the client for approval, and the necessary changes incorporated. The 3D views are done in two phases: exterior 3D drafting, and interior 3D drafting. Required objects, textures, landscaping are done to provide a realistic look to the building. AABSyS offers 2d drafting and 3d drafting services in the following areas: architectural CAD drafting, electrical CAD drafting, mechanical CAD drafting and electronic CAD drafting. The company can reproduce electrical site plans, electrical, power and lighting system plans, electrical panel schedules and electrical one line diagrams. It can also produce detailed 2D and 3D drawings such as mechanical fabrications drawings, heating, ventilation and air conditioning (HVAC) drawings, mechanical component drawings, installation drawings of mechanical products etc. Computer aided design and drafting (CADD) has brought about revolutionary changes to the field of engineering drawing. CADD is a convenient technology that replaces manual drafting on paper and allows the designers to prepare drawings on a computer screen. CAD drafting services have reduced drafting efforts and increased efficiency and quality considerably. AABSyS is a leading outsourcing company and possesses optimized resources, highly experienced staff, and the experience to meet a variety of customer needs. 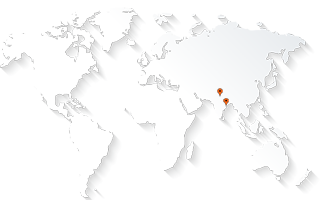 The company is based in Bhubaneswar in Orissa, India.